It’s often said that you can’t know a person’s story just by looking at them, and Chelsea Hylton is no exception. With blonde shoulder-length hair and a smile that could put anyone at ease, Chelsea comes off as hard-working, compassionate, and dedicated. You would have no idea what she has been through and what she has seen—unless, of course, you ask her. Chelsea grew up in the Washington, D.C. area, where both of her parents struggled with addiction. Her father was in and out of incarceration for most of her childhood. She didn’t know it at the time, but her traumatic experiences and desire to work in education would eventually become the driving force behind her New Orleans-based nonprofit, Project Peaceful Warriors. After graduating she moved to South Carolina to attend the College of Charleston, where she planned to major in communications. That plan changed when a friend studying education told her about a school that had recently started a yoga program. Chelsea started volunteering and teaching yoga classes at the school, and eventually transferred to Charleston’s School of Education. The experience, she says, was life-changing. Project Peaceful Warriors is a nonprofit organization that provides “trauma-informed yoga and mindfulness programming to schools.” Armed with a staff of six teachers and an advisory board full of seasoned professionals (including psychologists, professors and long-time residents of New Orleans), Chelsea and her team teach classes to over 500 students a week at 10 different charter schools in New Orleans. The mission of Project Peaceful Warriors is honorable in itself, but the results they’ve been able to produce are astounding. 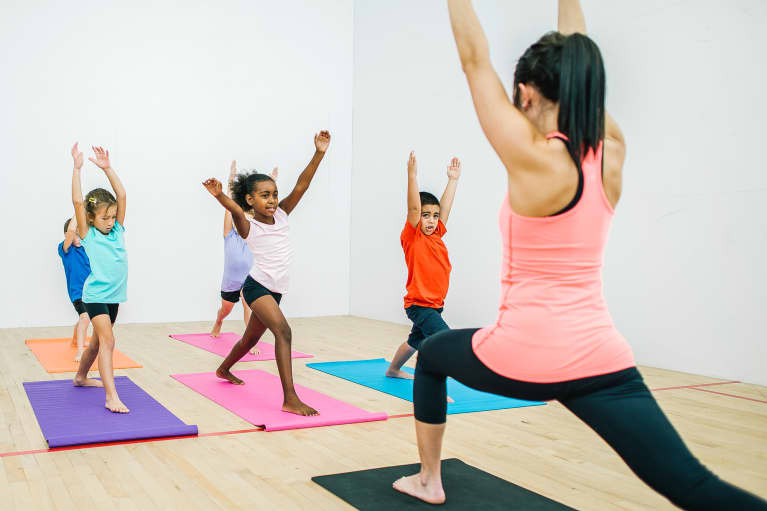 The nonprofit partnered with researchers at Tulane University to measure the impact of yoga on the stress and anxiety levels of third graders. After just eight sessions of yoga, students reported decreased feelings of stress and anxiety, and they maintained higher scores in school as compared to their peers, even after their semester of yoga was over. Also, according to data that Chelsea and her team have collected, 92% of Project Peaceful Warriors’ students have reported using yoga outside of yoga class at least once a week.